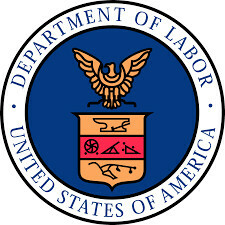 Sexual harassment in the workplace is prohibited under Title VII of the Civil Rights Act of 1964. An individual who has been subjected to sexual harassment has numerous options to remedy the harassment. It is important to first speak up to the harasser. Oftentimes, the party responsible for the harassment does not realize his or her conduct is offensive to the victim. Because of this, you should tell the harasser his or her conduct is offensive, or making you uncomfortable at work. If the harassment continues after that, you should consult your employer’s policy on workplace harassment. While not all employers have a handbook or collective bargaining agreement, many do have written procedures in place for reporting such harassment. Generally, employers provide an “open door policy,” meaning an employee can report alleged harassment to a supervisor, Human Resources Manager, or a neutral third-party. If your employer does not have a specific policy for reporting sexual harassment, you should bring your complaint to your immediate supervisor. Sometimes, an employee’s immediate supervisor is the person doing the harassing. In such a case, you should bring the complaint to your supervisor’s immediate superior. It is critical that an employee complaining of harassment takes reasonable steps to report the harassment and make his or her employer aware of the ongoing conduct. An employer’s policy on reporting sexual harassment may require a formal, written report or a face-to-face meeting. Discussing the harassment in person is sometimes better because it enables your employer to see how genuinely upset you are. If you do meet with your employer or HR about the harassment, you should memorialize what was said in the meeting. This prevents the possibility of your employer later denying the occurrence of a meeting afterward. Further, you should keep a copy of this for your records and request another copy be placed in your personnel file. An employee may also want to send a copy of the letter through E-Mail. Because documents can be misplaced, stolen or even destroyed, it is advisable to send a complaint electronically as well. For the most part, even deleted E-Mails may be recovered. It is also important to keep a record of each incident of harassment, including dates and parties involved. Moreover, an employee should record each time he or she makes an internal complaint and who the complaint was made to. An employee’s right to be free from sexual harassment is considered a protected activity. Employees are often afraid to report sexual harassment out of fear that an employer will retaliate. An employer is prohibited, however, from retaliating against an individual for complaining or opposing sexual harassment. In addition to this prohibition, it is unlawful for an employer to retaliate against an individual who has filed a charge or is involved in the investigation with the Equal Employment Opportunity Commission (EEOC). In the event that a harassment claim cannot be resolved internally, an employee may file an administrative charge with the EEOC or the state’s human or civil rights enforcement agency. An employee can file a charge with the EEOC only if his or her employer employs at least 15 individuals. Further, the charge must be filed within 180 days from the last incident of harassment. In some states, this deadline is extended to 300 days. After a charge is filed with the EEOC, an employer will receive a copy of the charge within 10 days from the date of filing. At that time, the EEOC will conduct an investigation. During the investigation, agents may visit the employer and hold interviews with other employees or supervisors at the office. If it is clear that the law has been violated, the EEOC will try to reach a voluntary settlement with the employer. If these negotiations are unsuccessful, however, the case will be referred to the EEOC’s legal staff. Thereafter, the legal staff will decide the best course of action. In the event the EEOC cannot determine whether an employer has violated the law, the employee will be given a “Notice of Right to Sue.” This notice gives an employee the right to sue a civil lawsuit. Upon receipt of this Notice, an employee has 90 days to formally sue his or her employer. An employee who brings a civil lawsuit for injuries suffered from the harassment does not need to prove physical injuries. In fact, the most common injuries in sexual harassment cases stem from the victim’s emotional distress and suffering. If you’re suit is successful, you may be awarded back pay, fringe benefits, damages for emotional distress, or attorney fees and court costs.